The Supporter’s Club are offering transport to this match. Please note kick off day & time. 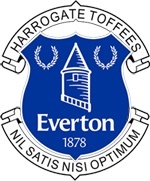 Members are to contact Bern to confirm if their season card requires activating for this match and to advise where they will be getting on the coach as soon as possible. Supporters Club members that require additional tickets may be able to purchase them through the Supporters Club. Please get in touch in plenty of time to discuss.